When something traumatic happens to a church, how can the leadership of that congregation get back on their feet? This book talks about change and transition in simple terms. When something traumatic happens to a church, how can the leadership of that congregation get back on their feet? This book talks about change and transition in simple terms. Using the analogy of a gearshift (PRNDL), this book offers a step by step process for church leaders seeking to restore their congregation back to growth and health. 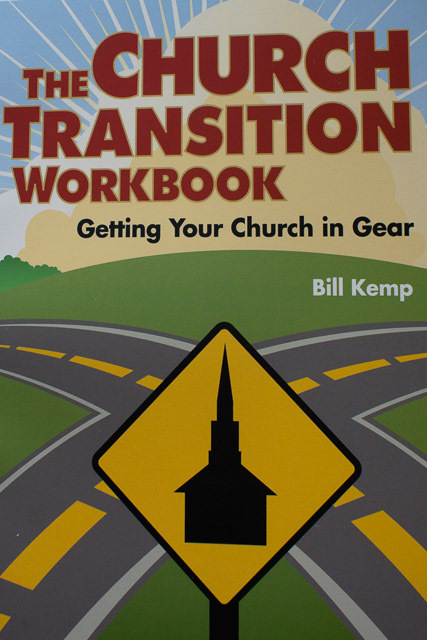 Pastor-Parish Committees will find this book helpful in guiding the transition between pastors. Laid out in a workbook format, CTW provides group excercises and discussion starters to help people get past their anxiety related to change. Describes the four stages of change and the tasks lay and clergy leaders should focus on during each stage. Reproducible excercizes keep clergy and laity on the same page as pastoral relationships are being redefined. CTW is often used as a text book for training Intentional Interim Ministers and Transitional Consultants. A must read for Pastor/staff Parish Committees. 8 1/2 x 11 144 pages Published by Discipleship Resources, UMC. Like all NPY books, jargon has been kept to a minimum to make the book useful for congregations of any denomination. 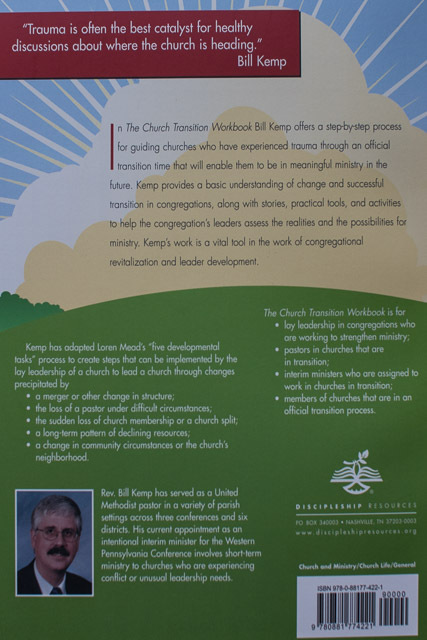 A change in community circumstances or the church’s neighborhood.